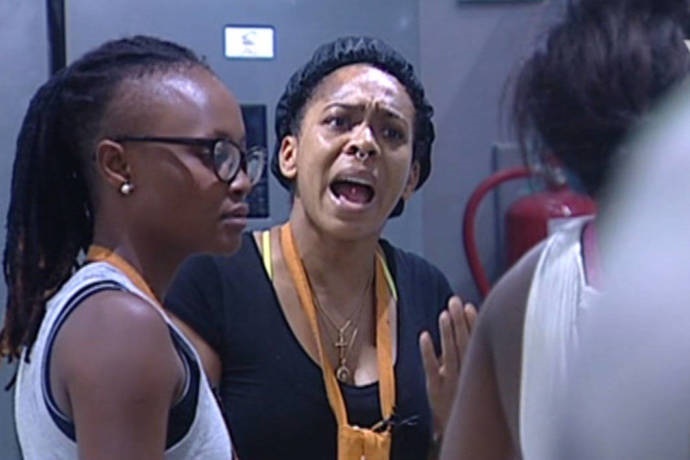 Radio presenter on City FM, Uche Sensei can't get enough of TBoss and her inability to properly sing the Nigerian national anthem in the #BBNaija house. Radio Presenter, Uche Sensei, would not let sleeping dogs lie. The popular On-Air-Personality on City FM, wants to have the last word on Big Brother Naija hosemate, TBoss' inability to sing the Nigerian national anthem. He took his disapproval to Instagram and laid it all out. “Ask an American to sing their national anthem or even a south African, it comes out of them with pride and joy. “The Nigerian national anthem should be sang with pride and joy also. IT'S OUR NATIONAL ANTHEM. “I have nothing against TBoss as a person, but I have a problem with the Change we are trying to effect not being wholesome. “And to think that a lot of 'Cool Peoples' have come out to say that T-Boss shouldn't be held accountable for not being able to sing the Nigerian national anthem on a live international programme built for Nigerians is just crazy. “There are a lot of children and young people that watch Big Brother Naija and they would emulate the lives of the house mates and eventually the winner because this is how powerful television is. “Please the national anthem is something that you and I should not take for granted. It is a call to action, and encapsulates our passion, promise and purpose as a people and as a nation. “Anyone who cannot recite our National Anthem does not qualify to participate in Big Brother Naija, not to talk of winning it. #SenseiSpeaks” he wrote on the poular social media page.